Alejandro Mazariegos is WREAA’s Market Representative for the Latin American Region. 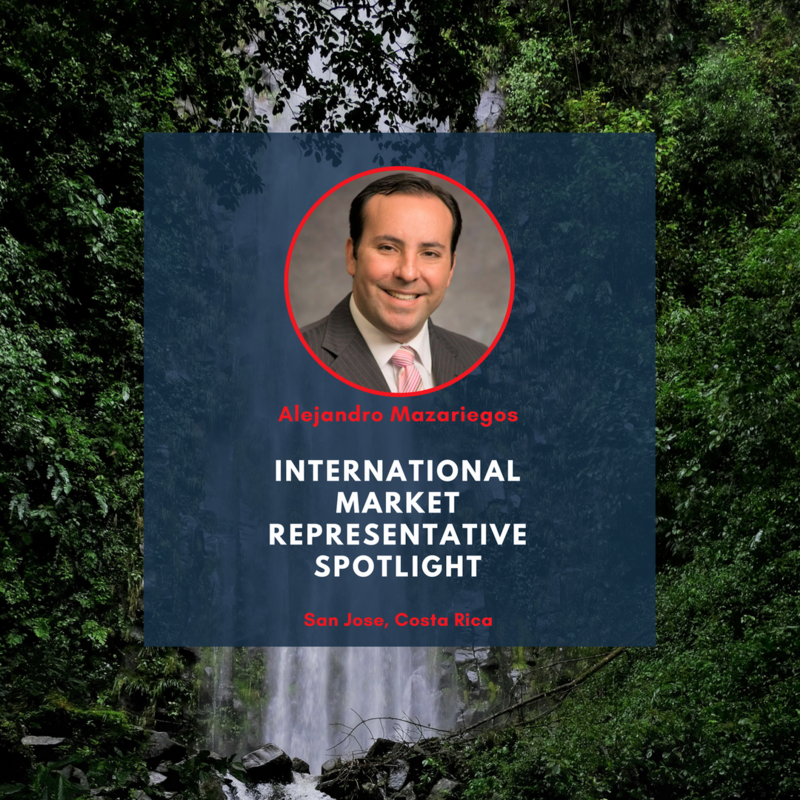 Raised in Escazu, Costa Rica, Alejandro joined UW as an inaugural member of the Global Real Estate Masters (GREM) program in 2011. His education prior to UW included a bachelor’s degree in Marketing from Universidad Veritas and an MBA from INCAE Business School, both in Costa Rica. Alejandro now works for Grupo Financero Improsa in San Jose, Costa Rica. Tell us about your role at Grupo Financero Improsa. I am leading the acquisitions unit here at Grupo Financero Improsa. More than a REIT, it’s a fund. I oversee valuations and negotiations when we look at assets for acquisition. I also go to banks and try to work out debt financing. Why did you choose to study at UW-Madison? My family was always involved in smaller real estate deals. Before doing my MBA, I worked doing lease accounting for Citi Bank, and before the crash I was working in real estate banking. [Real Estate] has always been my passion. At INCAE, I heard there was an opportunity to go study specifically real estate. There aren’t that many specializations in my small country, and I thought, I have to be there. How does the real estate industry in Costa Rica differ from in the US, and how does that influence the challenges you face in your work? Development: Costa Rica is very into sustainability and the environment, so permits can take a very long time. Financing: Interest only loans for commercial assets aren’t allowed in Costa Rica. You’re required to be paying principal no later than 6 months after originating the loan. To work around this, a REIT might issue interest only bonds to create an IO loan. Financing: Financing in USD is usually cheaper than local currency, but you need to handle exchange rates. Because leases here are signed in USD, large companies that also generate revenues in USD are safer because they will be able to withstand fluctuations in the Colones’ value. Leases: In all leases, the tenant is not under the obligation to fulfil the lease. The tenant can end the lease whenever they want, so you have to price this into your valuation. What has been the most enjoyable or unique deal/project you have worked on? At my last job, I was hired by First Citizens Bank with the purpose of launching an investment banking unit in Latin America. I had to work with my headquarters in Trinidad and Tobago while completing deals in Chile, Panama, Ecuador, Salvador, Paraguay, Guatemala, and Columbia. I am proud to have lead the creation of something not already established. How do you stay connected to the Wisconsin Real Estate Alumni Network? Every now and then UW undergrads reach out to me with questions and I try to answer those as best as I can. I try to involve other Real Estate Badgers in projects in Costa Rica. Everyone has been very responsive and kind when I call, but I think fears of market liquidity have prevented transactions. I don't think this concern is justified, so I hope we can do deals together soon. Like I said, everyone has been incredibly friendly when I call, it just hasn't worked out yet. Do you have any advice for current undergrads or graduate students studying real estate at UW? Also, for students who may be interested in working internationally after graduation? Keep your eyes and options open. Think outside the box, and go beyond the country. At my graduation ceremony, two Midwest professionals gave speeches and encouraged students to go outside the borders. They said the world is getting smaller. As RE professionals, we must look outside the spreadsheets and understand the markets, demographics, and industries. WREAA thanks Mr. Mazariegos for sharing his experiences and his role as an International Market Representative! As a reminder, Market Representatives for all regions can be found under the "Contact Us" tab of the WREAA webpage.